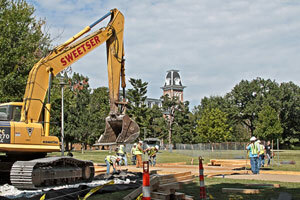 The University of Arkansas made good on its promise to begin removal of a temporary construction service road through Old Main lawn within two years. 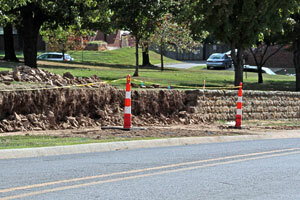 Construction of a temporary service road through Old Main Lawn on the University of Arkansas campus began this week. 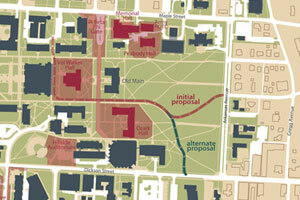 Chancellor G. David Gearhart has proposed an alternative route to the controversial service road through Old Main lawn on the University of Arkansas campus. 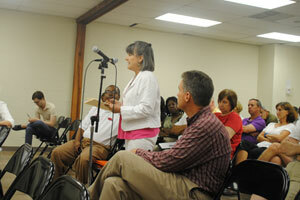 More than 50 people turned out to hear reports from the mayor and city staff on ongoing and upcoming projects, and to voice their concerns on various issues concerning the city. 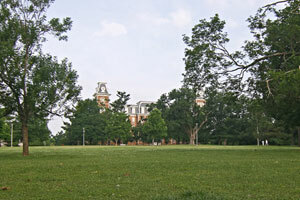 An extensive renovation and expansion project planned for Ozark and Vol Walker Halls on the University of Arkansas campus this summer will result in the need for a temporary road through Old Main lawn.